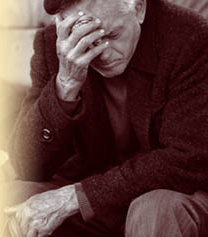 When caregiving for an aging family member becomes overwhelming, it may be time to contact Caring Hearts for Seniors. Geriatric Care Management, is a holistic, client-centered approach to caring for older adults or others facing ongoing health challenges. Working with families, the expertise of Caring Hearts for Seniors provides the answers at a time of uncertainty. Your family has limited time and/or expertise in dealing with your loved ones’ chronic care needs. Puzzled about where to turn? Welcome to Caring Hearts for Seniors, a Chicago-area company that offers care management services for the elderly and disabled. If you’re finding it difficult to care for a relative or friend who wants to live as independently and productively as possible, we can help. There are so many services available, but how does one find the best solution? At Caring Hearts, we listen carefully to everyone’s concerns, and make our assessment of your situation. Then, we work with you to develop a personalized care plan to address all of your particular needs. The geriatric specialists at Caring Hearts for Seniors will work with you to enhance the quality of life for you and your loved ones. We’ve been working with seniors and the disabled for more than 25 years. 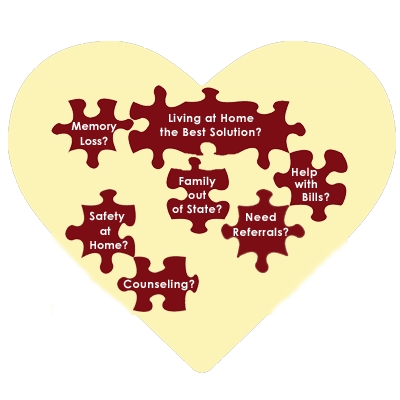 We can help you put all the puzzle pieces together…for greater peace of mind. to make an appointment for an in-home assessment.